We held the shower at Zen, a rooftop lounge with the most amazing views of Tumon Bay. 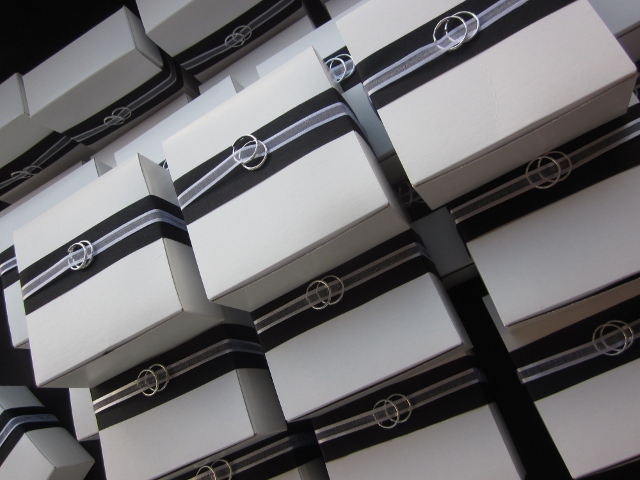 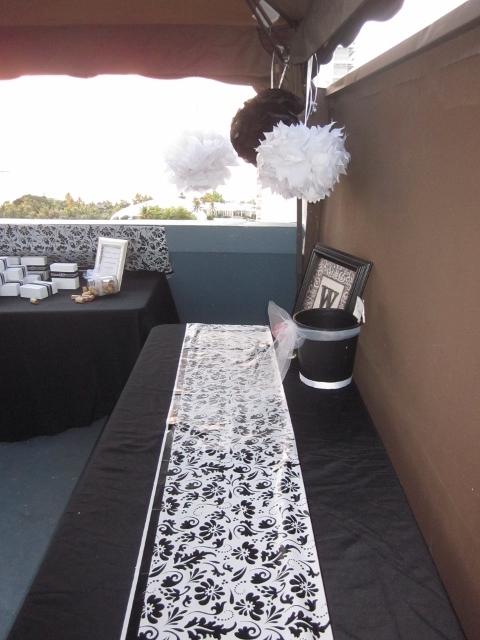 With the sunset as our backdrop, I chose a black and white color scheme to contrast. 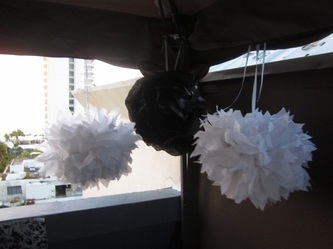 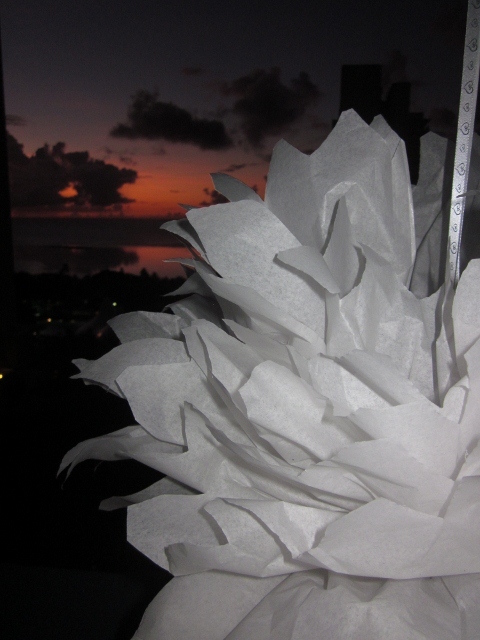 Tissue pom-poms were made and hung by ribbon. 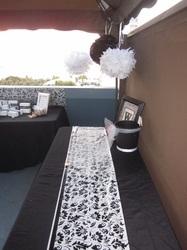 The tables were draped in black; I took a floral table cloth, cut it in half and added it as a runner on the gift table and a backdrop to the favor table. 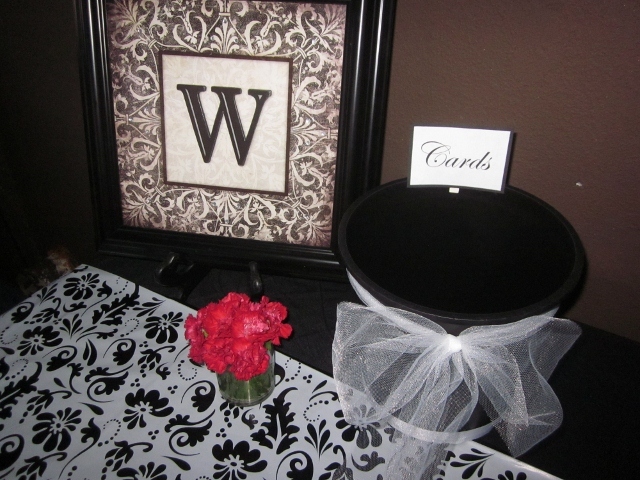 At Hobby Lobby, I found a framed "W" for the couple and propped it on the gift table. The Card Bucket is a black plastic planter. I hot-glued a thick ribbon on the bottom to cover the drain holes and tied a tulle bow at the top. 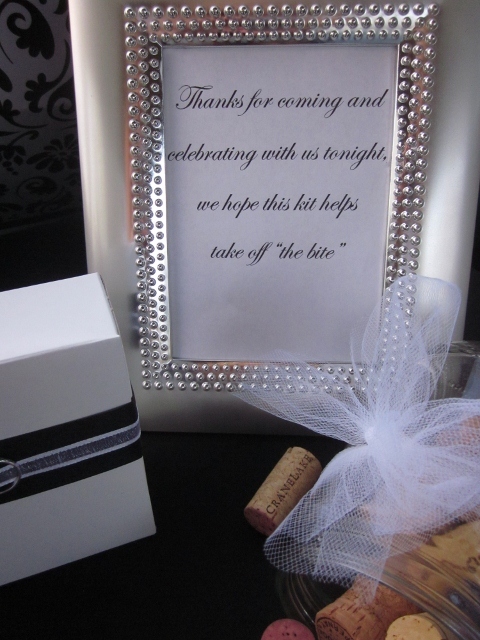 I printed the sign, mounted it on card stock and glued it to a painted white clothes pin. For a pop of color, I added a small vase full of red flowers. 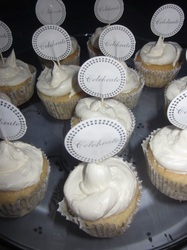 "Thanks for coming to celebrate with us tonight, we hopes this helps take off the bite"
As I mentioned earlier, the view from the lounge was so amazing that a small amount of decorative touches was all I needed. I made these wine bottles to scatter around the tables. 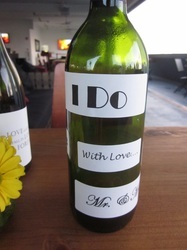 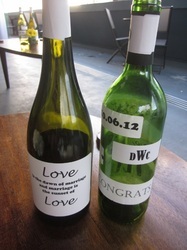 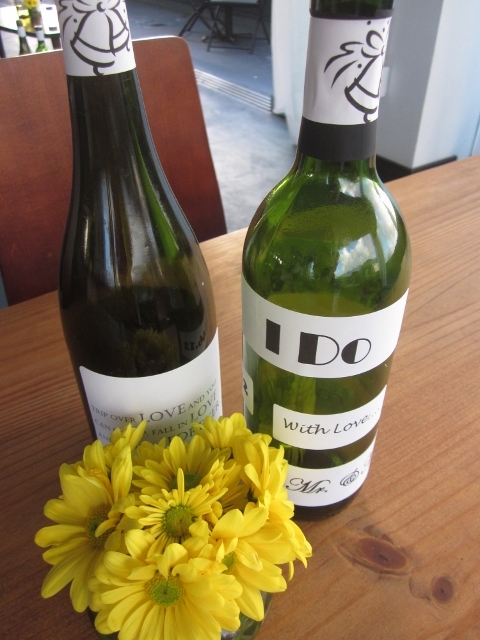 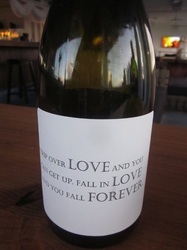 I soaked the wine labels off, printed "love sayings" and such on mailing labels and adhered them to the bottles. 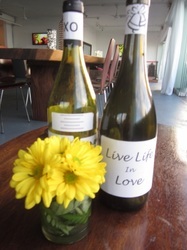 I accented the tables again with a pop of color, this time using yellow daisies. 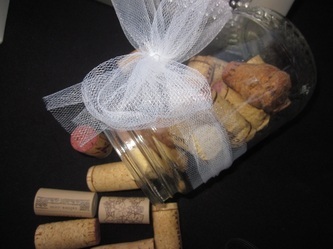 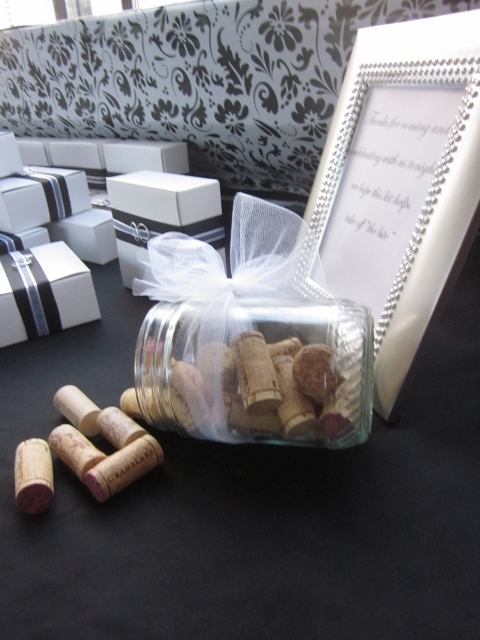 The mason jar was a last minute addition - just filled it with old corks and tied a tulle bow. 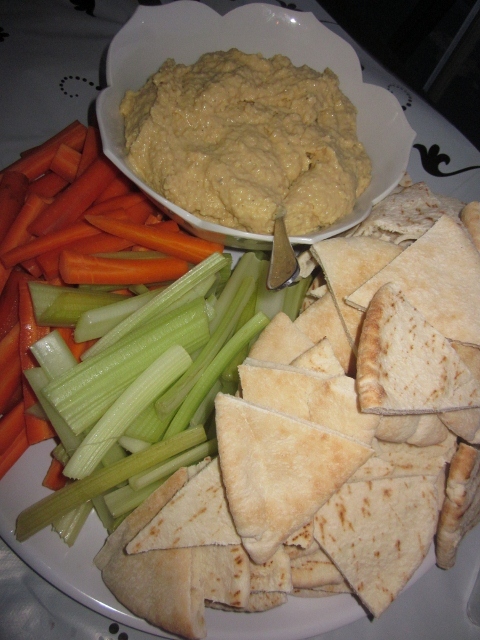 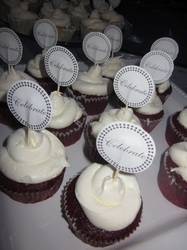 The food was kept simple, a couple hot appetizers, hummus, vegetables and pitas plus white and red velvet cupcakes for dessert.